I'm all about upcycling. 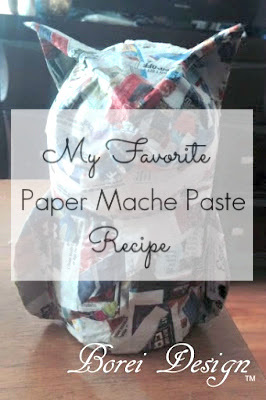 I was upcycling & repurposing WAY before upcycling & repurposing was cool. There's all kinds of diamonds in the rough out there just waiting to be discovered at yard sales and thrift stores. There is nothing I enjoy more than the challenge of taking someone's castoff and turning it into a unique and cherished treasure. 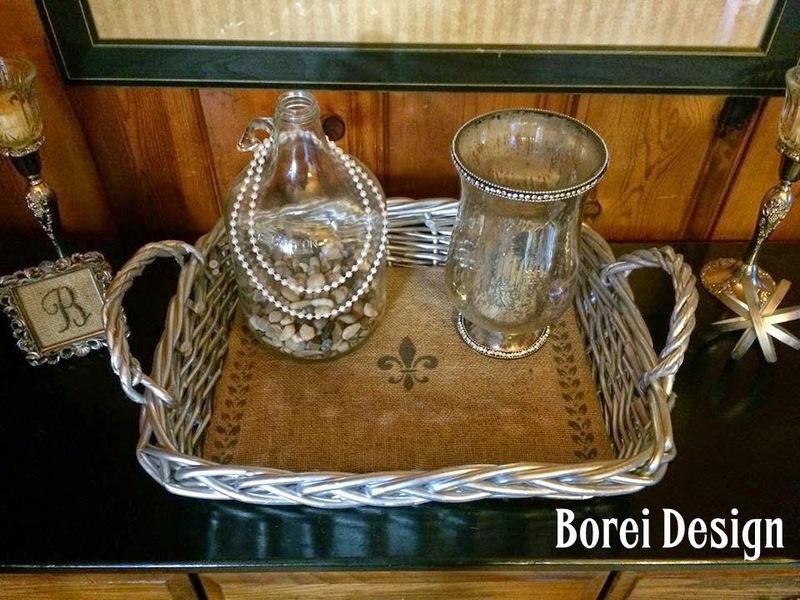 Serving trays make a fantastic decorative item. You can top a tray with a stack of vintage books, figurines, small vase with flower or wherever your imagination takes you to make an interesting coffee table or other display. I've been wanting to do a decorative tray for a while. 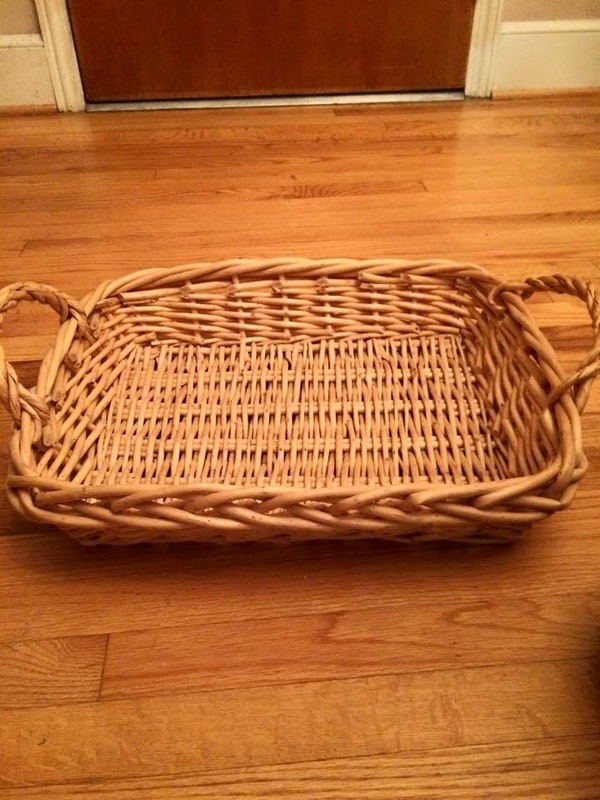 I originally thought of doing a wood tray but when I saw this serving tray basket for like two or three dollars at a thrift store, I snagged it. It was in excellent condition and very well made. I thought it would be an excellent candidate to transform from the ordinary to the extraordinary. To add to the challenge I told myself I could only use materials already around my house. 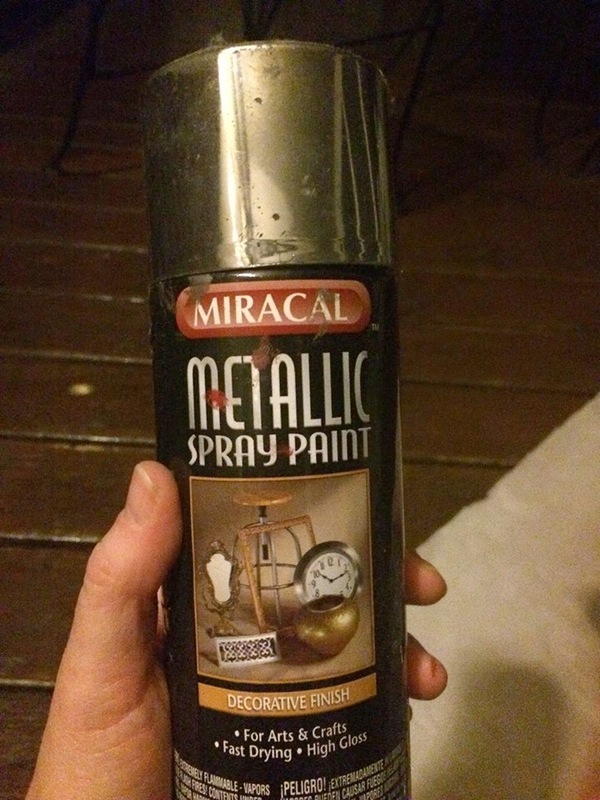 I dug through the garage and found various colors of leftover spray paint. After a few color fails, I found this silver color calling my name. I put some leftover wrapping paper down on my back porch (one of the many reasons why you should never throw away that leftover paper), placed the basket on top and gave it a good spray. It really didn't take much paint at all. It stuck beautifully with a single coat, covered up the failed paint color I added before it and the finish was awesome....I didn't bother to take a pic of the paint fail in between. Let's just say the color was hideous. This paint was my saving grace and let's leave it at that.....I let it dry for a few minutes and then gave it a second coat for good measure, making sure to get any spots I missed. It dried quickly. After the paint dried I decided to do more to help make it truly unique. Unfortunately I did not really take many pics of my next few steps but it's not hard to explain. I decided to make and paint a wood insert to go in the bottom. Unfortunately I couldn't find a thin enough piece of wood to use in the garage and I managed to resist the urge to buy some. I instead grabbed an old cardboard box to make a bottom liner. I measured the length and width of the bottom of the basket and cut a piece of cardboard using these measurements on my cutting mat a rotary cutter. I also cut a slightly larger piece of burlap fabric. 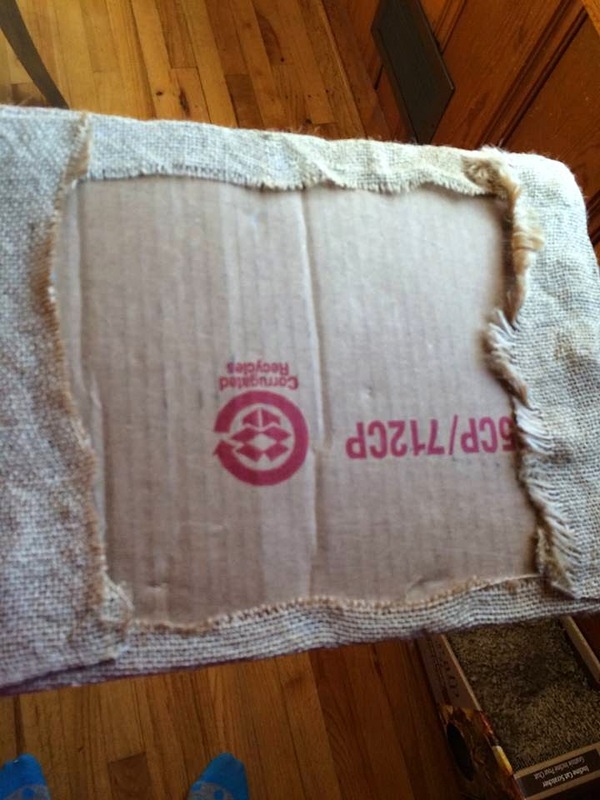 I applied a thin layer of regular white (school type) glue to the top of the "board" and smoothed the burlap on top. I then folded the corners around the back of the board and used hot glue to secure the folds. Here is the back of the "board." 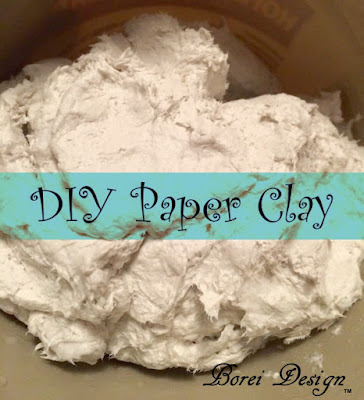 If desired you can hot glue another piece of the burlap to the back to cover up the empty space in the center to make it neater or just leave as is. You won't see the bottom once it is placed in the basket. 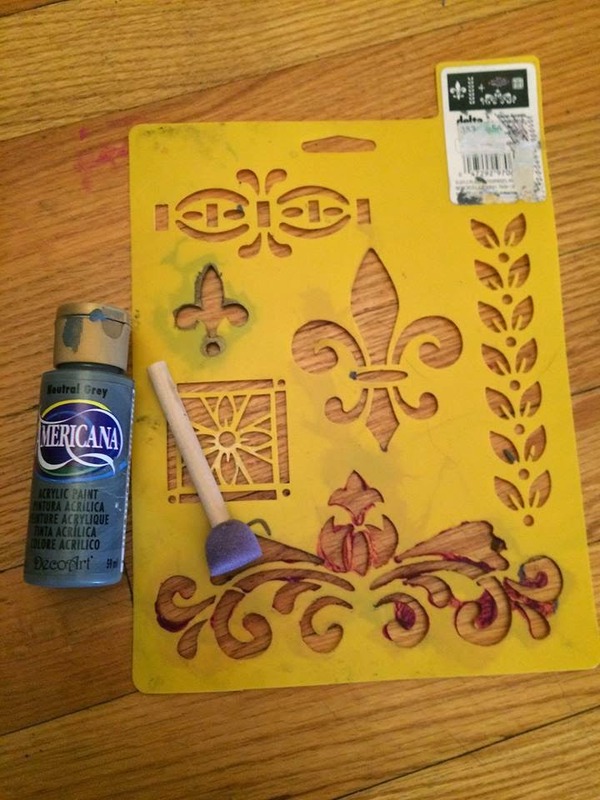 I then stenciled a design on the top using a grey craft paint and a round sponge brush. I blotted the paint on with the end of the brush instead of making strokes. Once the design was dry, I placed my liner in the bottom of the basket and voila! 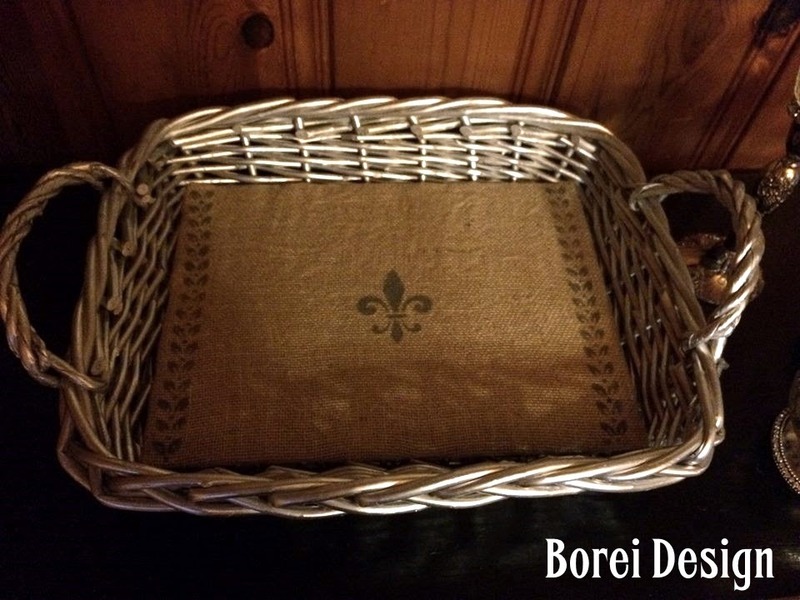 It's finished and I'm thrilled to say I spent no money on this particular project beyond a few dollars for the basket. Here it is displayed on my dining room buffet. I made or gave a major makeover to almost everything you see in the pic including the buffet itself. The buffet was made using an old dresser that a sweet friend was nice enough to pass on to me. 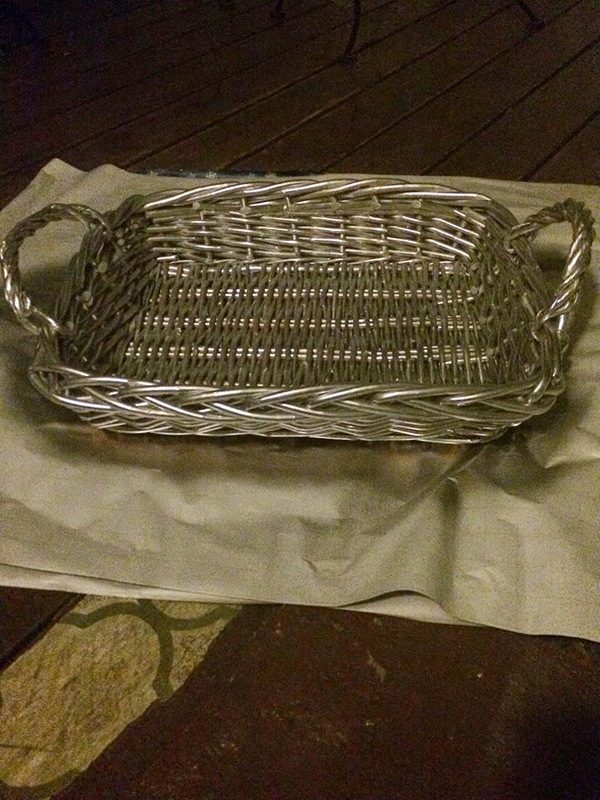 I have a tray basket simular to yours and wanted to utiize it somehow that is practical but cute and now I know what to do. Thanks so much! Yours turned out very nice.